Prior to 1980, my musical tastes generally sucked. Oh, I listened to the standard hits on the radio, but had no coherent musical wants or likes---outside, that is, of what was always played in my house: John Denver, Neil Diamond, Olivia Newton-John and Barry Manilow. Yes, I admit it, I could sing along to several Manilow tunes. Remember, I didn't have any older brothers or sisters to show me the way (Think: Almost Famous). But then, in 1980, everything changed. I discovered good music. And I can thank K-Tel for that. For Christmas in 1980, I received a cassette from my parents. 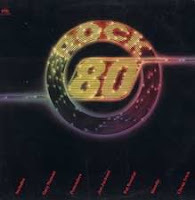 It was K-Tel's Rock 80. And this album introduced me for the first time to what would become some of my favorite bands: Cheap Trick, the Ramones, the Pretenders. I started listening more to rock radio. I would sit sometimes for hours, waiting patiently for a single song to add to my collection of mix tapes. This is a classic K-Tel album. It only had fourteen songs, unlike the other K-Tel albums in my collection. Most of the K-Tel albums had over 20 songs, the result of sometimes very bad edits and song crunching. Not this one; this one has the full radio versions of the songs. Unfortunately, this cassette no longer works. Thank God for Ebay. A couple of years ago, I was able to purchase a nice copy on vinyl. And that Rock 80 album is the featured selection on this month's edition of Adventures in Vinyl. We will play the album in its entirety. Plus, music and movie trivia from 1980 as well. Adventures in Vinyl is the only radio show dedicated to the lost art of the K-Tel record compilation. 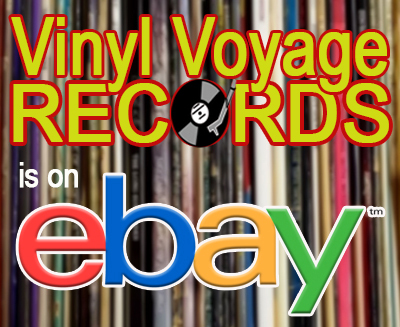 It can be heard on the Vinyl Voyage radio channel Saturdays at 11 am (CT) and Sundays at 4 pm (CT). So join us for this nostalgic rip back to 1980. Remember, if you can't hear it at those times, no worries: just let us know when you would like to hear it and we'll play it for you at that time. How's that for a personal playlist? Happy May. 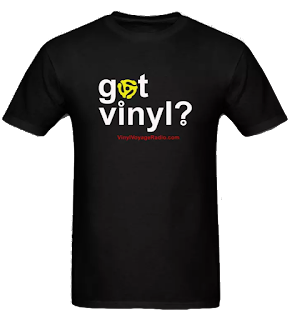 It is Retro Repeat Month on Vinyl Voyage Radio. Each week will feature a different K-Tel Album on Adventures in Vinyl. Join us on Memorial Day for the 2012 K-Tel Marathon. We will feature every K-Tel album that has appeared on Adventures in Vinyl in chronological order starting at 6 am (Central).